Ghost malls, dark stores, and empty big boxes. Circuit City, Ponderosa Steakhouse, 2008. Cinema I – IV, 2008. Richland Mall, 2009, after Stephen Shore, 1973. JC Penney, Dixie Square Mall, 2009. Atrium, Dixie Square Mall, 2009. American consumer culture, long thought to be as immutable a force of nature as exists, is suddenly unmoored. The consumer boom of the 1990s and 2000s came to a screeching halt in 2008, as the house of cards that was the global financial system collapsed. The U.S. economy tumbled shortly after, leaving consumers reeling. In the months that followed, people lost their jobs, their homes, their credit, and their pensions. The big-box stores, which only a year earlier had seemed like invincible category killers, began shuttering. Malls turned into ghost towns. Retail outlets, big and small alike, teetered on the edge. Dollar stores, once the province of the lowest segment of the market, began outcompeting Walmart and Target. The world of retail was turned upside down. About a decade ago, in response to what seemed to me truly incredible statements coming from American politicians, equating shopping with patriotism, I began an ongoing photographic project. On October 26, 2001, the day he signed the Patriot Act, George W. Bush asserted: “The vitality of our economy depends upon the willingness of Americans to spend….” So it seemed a simple enough question: “Were people in fact being patriotic when going shopping?” I simply had to see if this was indeed the case, so, as photographers are apt to do, I began to gather evidence by making pictures of the places where people shop. Slowly this evolved into a decade-long investigation and obsession. As presented in my book Is This Place Great Or What, the Copia project comprises three series: Retail (2001-06), photographs taken in malls and big box stores across the country; Thrift (2005-08), focusing on the secondary life of consumer goods in thrift shops; and Dark Stores (2008-11), excerpted in this slideshow. It could have been a straightforward series of photographs. There the entranced shoppers were, flags in hand, carts full, credit cards maxing, performing as ordained. Yet I could not accept that this equation was so simple. I grew up in suburban Long Island, where retail in general and malls in particular offered some respite from the quotidian; I myself had been one of the entranced. And I want things, too — this was not a project about photographing “the other.” To surreptitiously make a photograph of buzzing and strutting shoppers was so technically problematic that my only solution was to find an appropriate setting and simply wait. What was thus revealed in those long hours under the fluorescent lights was that my method of looking was more akin to anthropology than art. It also became clear that there was a long and complex history here. Even in the early years of the decade, it seemed obvious that an economy based on perpetually growing retail was unsustainable. So it wasn’t surprising that in the spring of 2008, in advance of the crash that happened later that year, tidal waves of store closings began hitting communities almost daily. I wondered if we had reached the tipping point — the moment when the big boxes and shopping malls would lose their power over the consumer. As I researched the phenomenon, I discovered the evocative industry terms for closed retail spaces: dark stores, ghost-boxes, dead malls. Some of the very spaces I had photographed in the “Retail” part of my project were now emptied out, the signage removed, as if to mask the shame. This verbiage of drama and death, applied to a physical space, only hints at the larger effect on communities, jobs and real estate. “Is This Place Great or What” is adapted from the monograph of the same name which will be published later this month by the Aperture Foundation; it appears here courtesy of the author and publisher. A forgotten but vital chapter in the career of America’s most illustrious landscape architect: Olmsted’s brief stint as head of the U.S. Sanitary Commission during the Civil War. Text by David L. Ulin. Photos by Michael Light. Los Angeles is a dream of substance, a built dream, a narrative imposed upon the land. Brian Ulrich is a photographer whose works portraying contemporary consumer culture have been collected by the Art Institute of Chicago, the Cleveland Museum of Art, the Museum of Fine Arts Houston and the Museum of Contemporary Photography, among others. 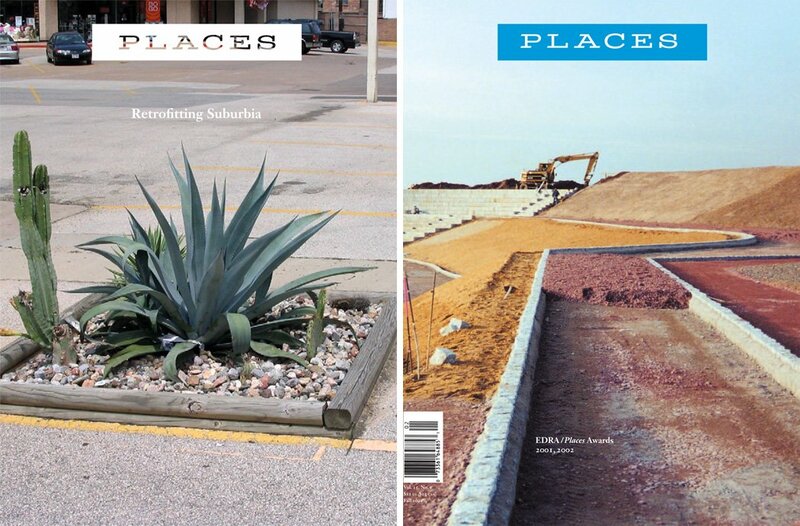 Read more on Places from books published by the Aperture Foundation.